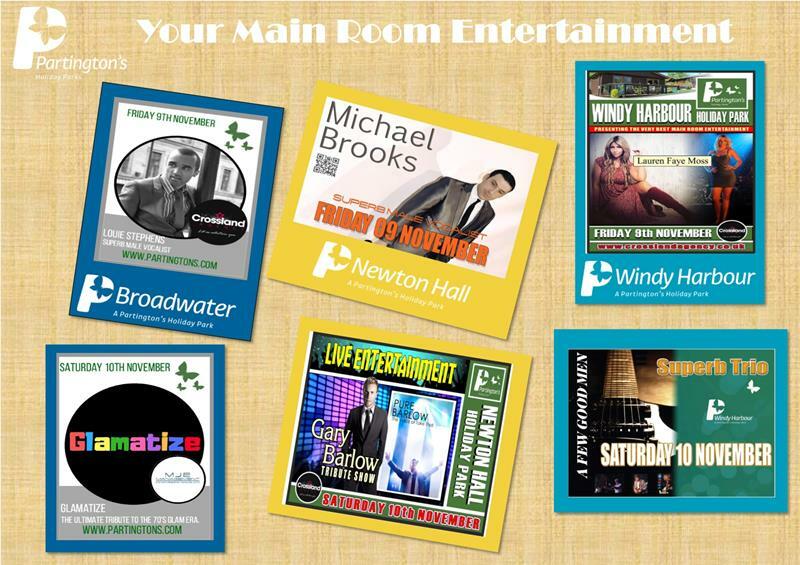 We hope you all can join us in the Main Room, we have two weeks of fantastic entertainment for you. 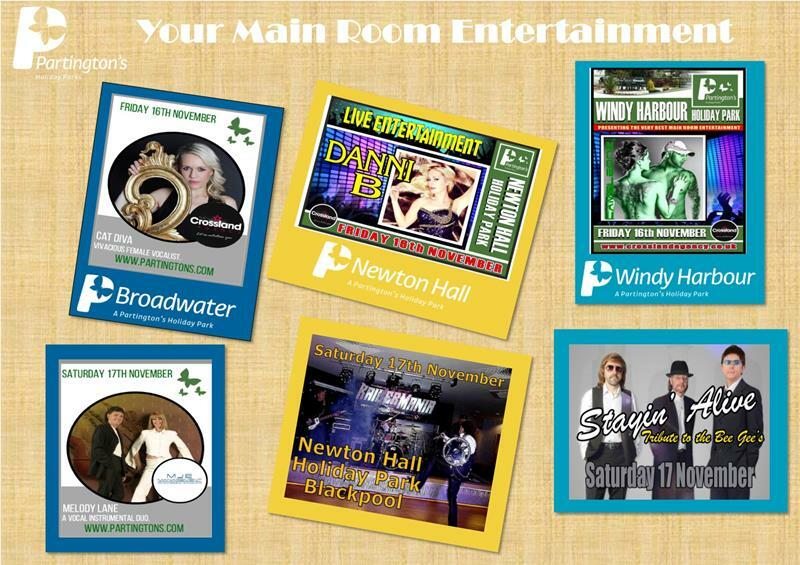 Join us at Broadwater, Newton Hall and Windy Harbour Holiday Parks, we have lots of fantastic entertainment for you. Don't forget our annual Butterfly Ball on Saturday 17th November at Windy Harbour and Broadwater Holiday Parks.